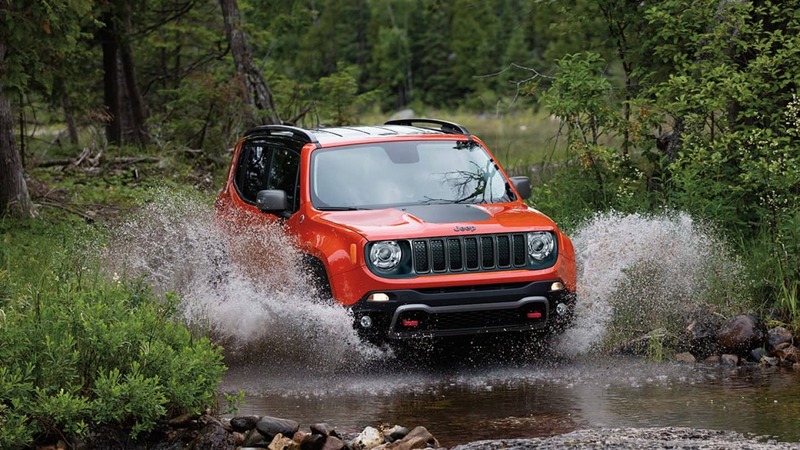 The Jeep Renegade gets into the thick of it quick for 2019 with novel things like angled-down front fascias, sporty grille surrounds, dynamic grille blinds, instrument cluster visuals, and freshened aluminum wheel styles! 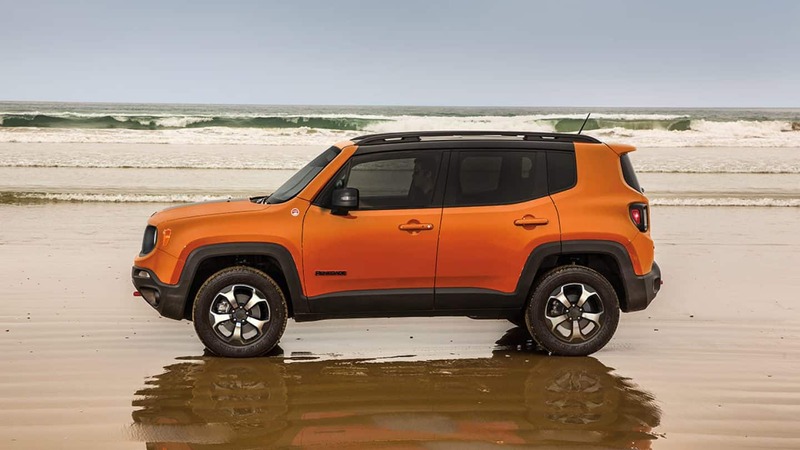 The 2019 Renegade proposes a new optional engine with stop-start and a robust 9-speed automatic transmission! 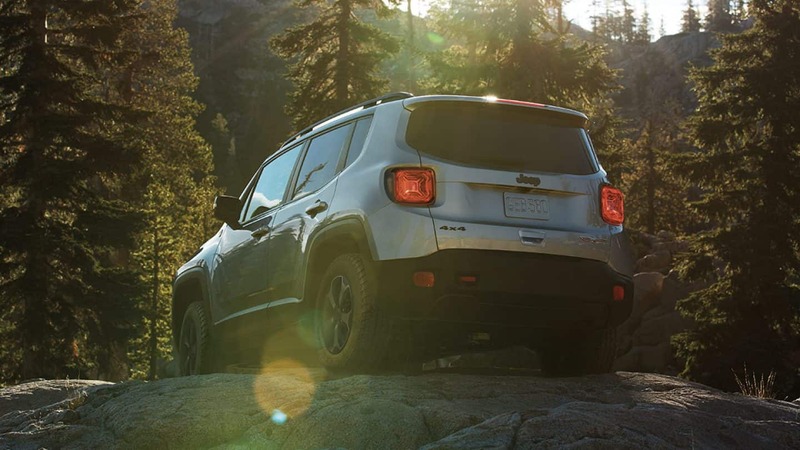 This vehicle can garner up to 32-mpg (4x2, 9-speed automatic) or alternatively, has a Trailhawk model rocking an enhanced 21:1 crawl ratio that's ready to break through troublesome off-road obstacles that tend to stop other vehicles cold. Whichever way you want it, whatever features you need, the Renegade is sure to have it in one model or another. There's also a new color (Bikini), a 506-watt amplifier to the available BeatsAudio Premium Sound System, and a proven set of off-road systems to make this your dream vehicle, so let's take a quick look through the Renegade's offerings here today! How much power can the Renegade deliver in 2019? With the obtainable Trailer Tow Group, presume to actualize a towing span of up to 2,000-lbs with your hard-charging Renegade in 2019! The original 1.3-liter MultiAir Turbo engine's efficiency is magnified with Engine Stop/Start, it reaches 177-hp and 200 lb-ft of torque, and befriends a fully-remade 9-speed automatic transmission (since the preceding year). A 2.4L MultiAir inline-4 pulls 180-horsepower and 175 pound-feet of torque and is standard inside the Sport & Latitude models. The Renegade has the possibility to be either All- or Front-Wheel drive, with the exemption of the outstanding Trailhawk model holding steady with its All-Wheel Drive on purpose. AWD will determine whether to supply power to two axles or just to the front axle, which absolutely makes a difference at the gas pump but without sacrificing power when you need it. Any way you might outline some of the Renegade's capabilities and models? The Renegade has one of the best-in-class off-road aptitudes around, plus it looks amazing! The Sport, Latitude, Limited, and Trailhawk are the main models of Renegade, and there are also the Altitude & High Altitude models which are essentially special editions built on the foundation of the others. 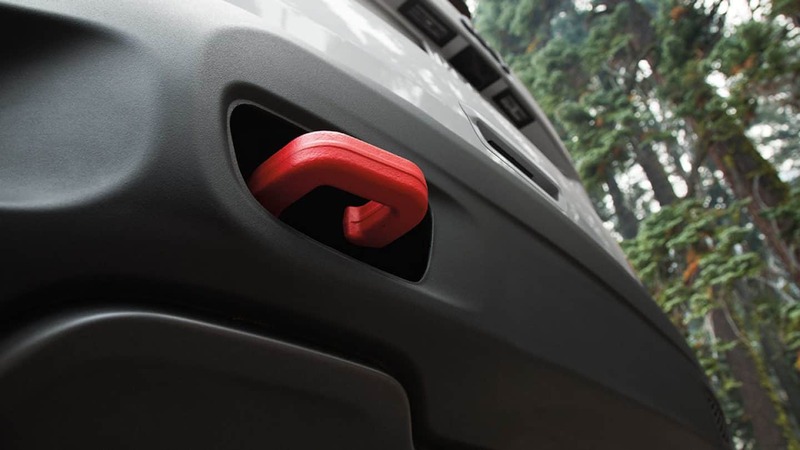 The Renegade brings 18.5 cubic feet of cargo space under the liftgate and then swells to 50.8 cubic feet with the middle-row folded down (has either a 40/20/40 or 60/40 split). The Selec-Terrain Traction Management System begets up to five calibrations: Auto, Snow, Sand, Mud, and Rock on the Trailhawk. For 4x4 systems, you're looking at either the Jeep Active Drive or the Jeep Active Drive Low systems. The Renegade can also transform into a 4G Wi-Fi Hotspot for eight devices by creating a fifty-foot sized Wi-Fi bubble! 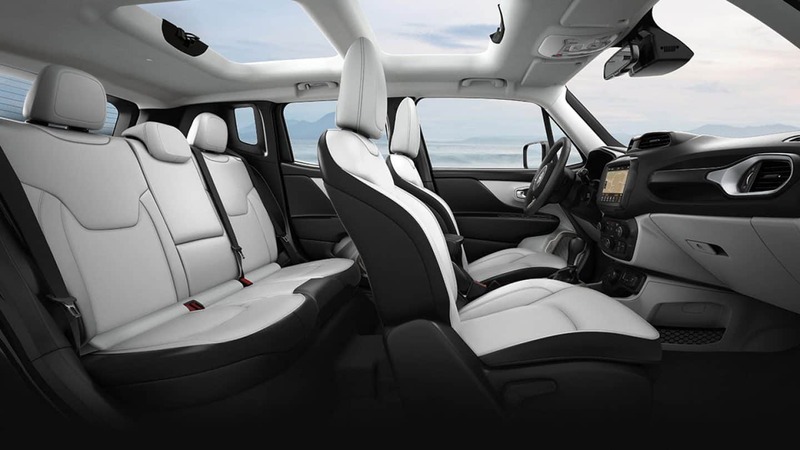 The Renegade also can carry SiriusXM Radio & SiriusGuardian (via subscription-model), HD Radio, and an optional BeatsAudio premium sound system that booms using a subwoofer and well-placed eight-speakers. 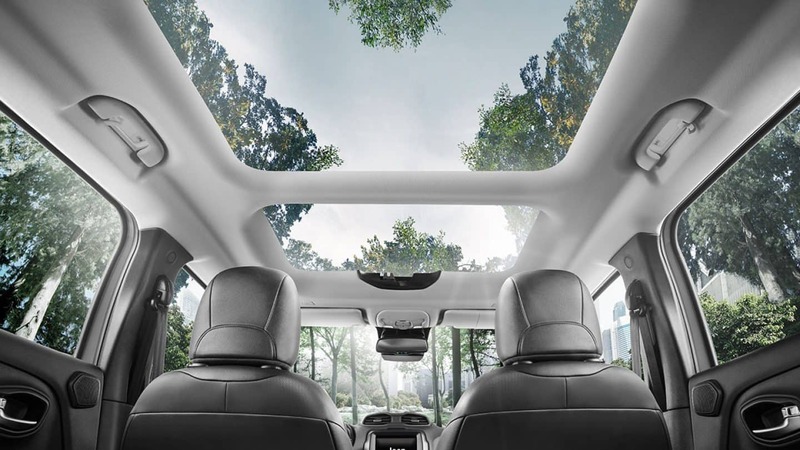 On the Sport model, look for conveniences such as the available open-air My Sky dual-pane panoramic sunroof, a 5-inch touchscreen sporting the Uconnect 3 system, and steering wheel-mounted controls for Voice Command, sound preferences, and Speed Control. 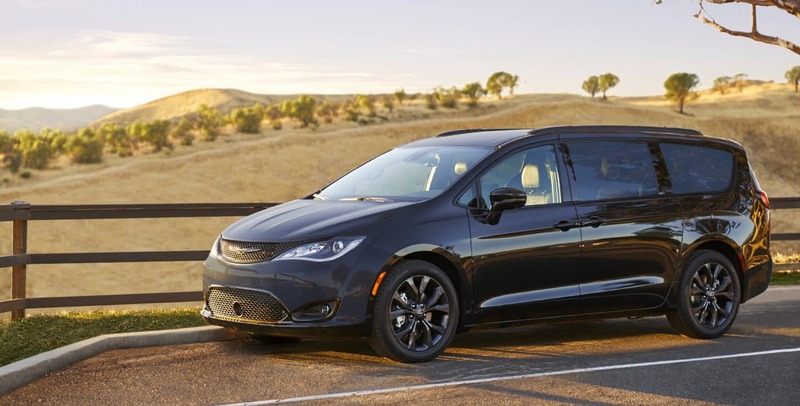 Let's get into the Latitude for a minute, which has novel 17- or 19-inch aluminum wheel options, the Uconnect 4 on a 7-inch touchscreen rocking the Apple CarPlay/Android Auto apps, a deluxe-treatment for the steering wheel, and that same the My Sky sunroof that the Sport can have. That's a marvelous amount of features! The Limited model has the 1.3L engine standard and then charters decadence with comforts like new 19-inch aluminum Granite Crystal-painted wheels, leather-trimmed & heated front seats, navigation via the Uconnect 4C NAV (8.4-inch touchscreen), while also accessing the My Sky dual-pane panoramic sunroof. The Trailhawk model holds the 1.3-liter engine too, yet certainly aims to pull away from the pack with elements such as a Rock Mode within the already burly Selec-Terrain Traction Management System, 17-inch aluminum wheels with off-road tires, as well as a newly-furbished LED Lighting Group too. That Group has ingredients like LED taillights, Bifunctional Projector Headlamps, foglamps, and LED daylight running lights! Hill Descent Control gets into the mix on the Trailhawk, as does standard Jeep Active Drive Low with 8.7" of ground clearance. The off-road madness continues unabated with skid plates, up to 8.1-inches of wheel articulation, an intensified 21:1 crawl ratio, striking red front/rear tow hooks, and up to 19-inches in elevation of water crossing! Whatever you desire, the Renegade has a model version for you! Is there safety and protective functionality within this year's Renegade? 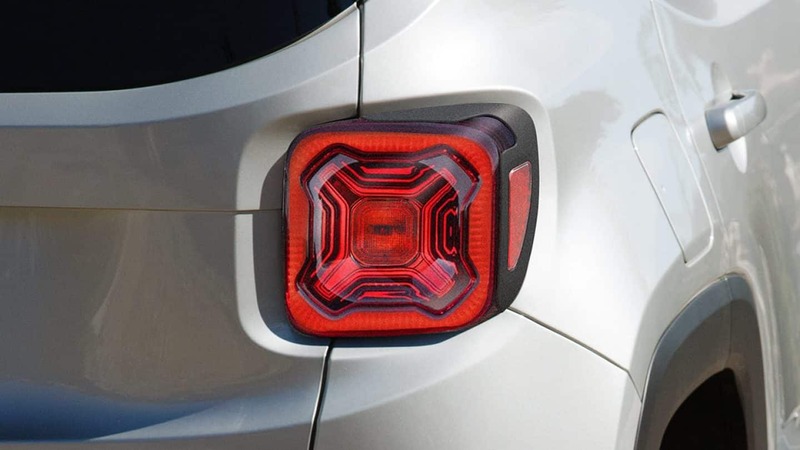 The 2019 Renegade is equipped with up to 70 protection & security enhancements, constituted of items like a Blind Spot Monitoring system, an available Full-Speed Forward Collision Warning-Plus, LaneSense Departure Warning-Plus with Lane Keep Assist, and available Automatic High-Beam Headlights. Expanding on that is the Advanced Tech Group with its ParkSense Parallel/Perpendicular Park Assist Plus, a standard ParkView Rear Back-Up Camera, and available Adaptive Cruise Control with Stop. 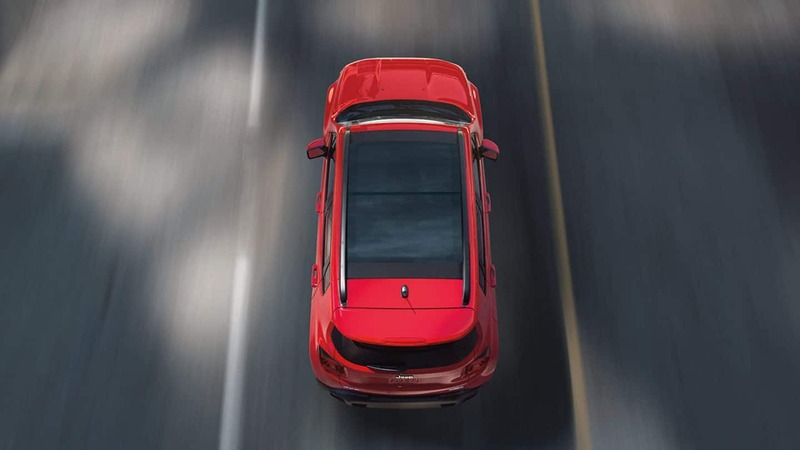 Pile on more safety with seven airbags as standard, rain-sensing windshield wipers, the Uconnect Roadside Assistance, and a chassis made with advanced high-strength steel. 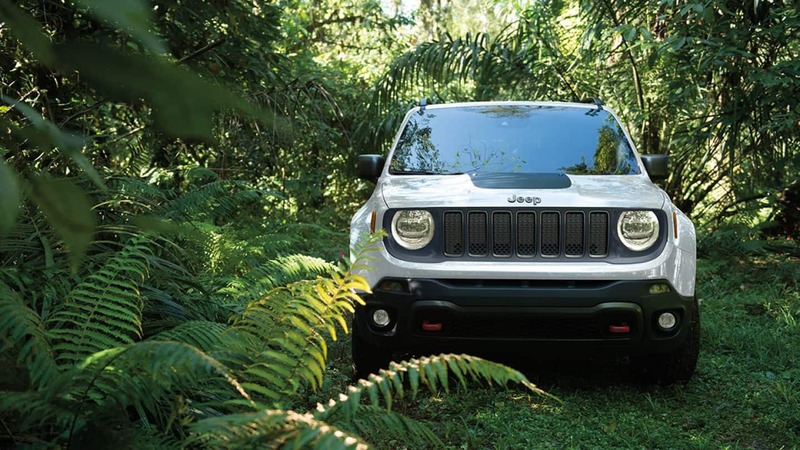 With its boosted ground clearance, the Renegade is waiting to take you places you've never been before! It does that easily, by using a certain sureness in maneuverability, the ability to cross assuredly over puddle-filled, secluded paths, and an unexpected display of wheel articulation. The fact is, this is a capable vehicle almost no matter what you need it for, and with the Trail Rated Trailhawk model, the Renegade lets you bust down the doors and get out there! 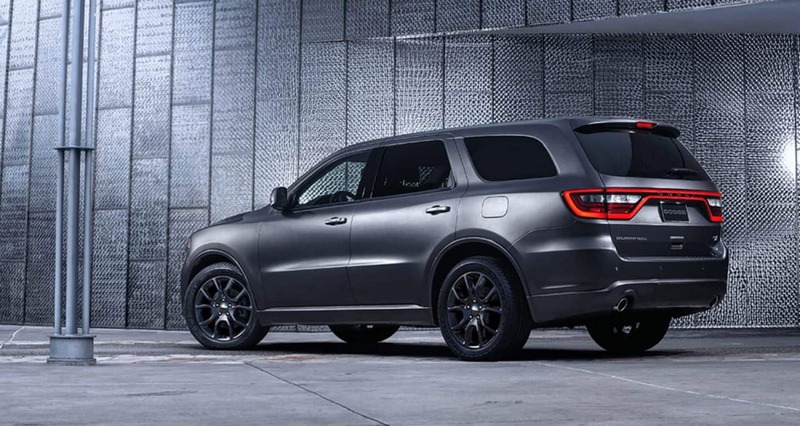 Why not stop by here at Humes Chrysler Jeep Dodge Ram and we'll talk about this vehicle in person? See you soon!